Not sure if you caught the excited press releases last week. 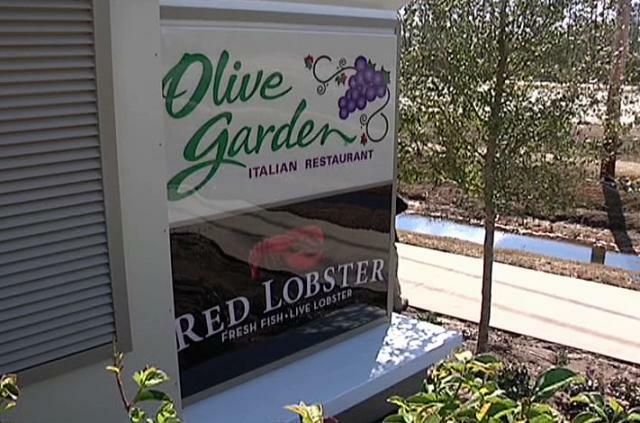 The Olive Garden and Red Lobster have joined Michelle Obama's Let's Move campaign. They've pledged to cut calories and sodium by 10 percent in the next five years, and 20 percent in the next 10 years. They'll also be making fruits and vegetables the default side dish for kids' meals, and 1% milk the default drink. Now don't get me wrong, lower calories in restaurant foods certainly can't hurt, or can they? Without a doubt one of the primary drivers of obesity are meals we're not cooking ourselves. 20% fewer calories off ridiculously high numbers of calories still leaves ridiculously high numbers of calories. And there's also no doubt that The Olive Garden and Red Lobster are going to milk their changes for all they're worth in terms of advertisements that suggest their reformulated choices represent their doing their part in the fight against childhood obesity. Had I been consulted prior to the establishment of Let's Move, I'd have been pushing for the creation of Let's Cook, because I can't think up any more valuable an intervention than one where all of Mrs. Obama's powerful influence and resources would be brought to bear on teaching, encouraging and helping Americans to spend more time in their kitchens. I don't think the problem of childhood obesity is going to be solved in restaurants, and programs and initiatives that serve to increase trust in restaurant meals as healthy options for children may well have the unintended consequence of making home cooked meals even more of a rarity than they've already become. That doesn't strike me as a very wise plan.